APOD: August 31, 1997 - Arp 230: Two Spirals in One? 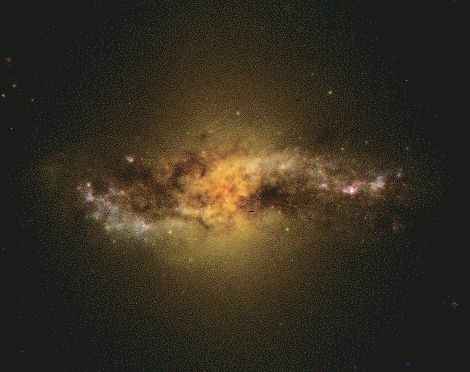 Explanation: Is this one galaxy or two? 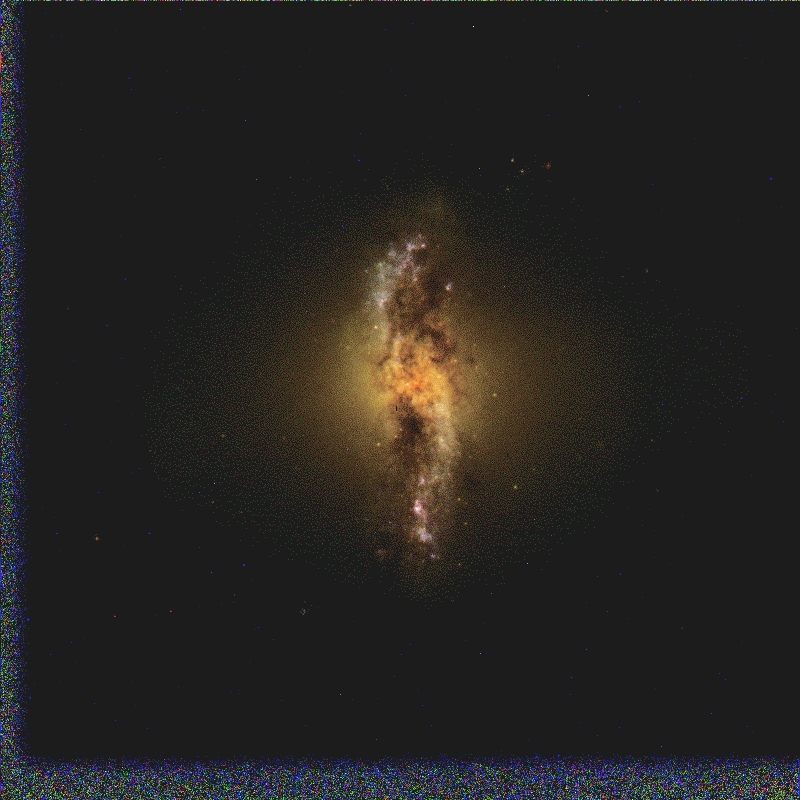 Analysis of Arp 230 has shown evidence that this seemingly single spiral galaxy is actually the result of the recent collision of two spiral galaxies. The slow motion collision took place over about 100 million years and induced a burst of star formation that has begun to subside. The collision apparently had many similarities to the colliding galaxy sequence in the IMAX movie "Cosmic Voyage."